A quick photo for today, but one that I hope illustrates the importance of keeping a sharp eye out! If I was hurrying, I would have missed this statue of the Lion of Singapore enshrouded in the jungle-like fauna of The Garden by the Bay in Singapore. The lion is everywhere in Singapore, sometimes hiding even in plain sight! 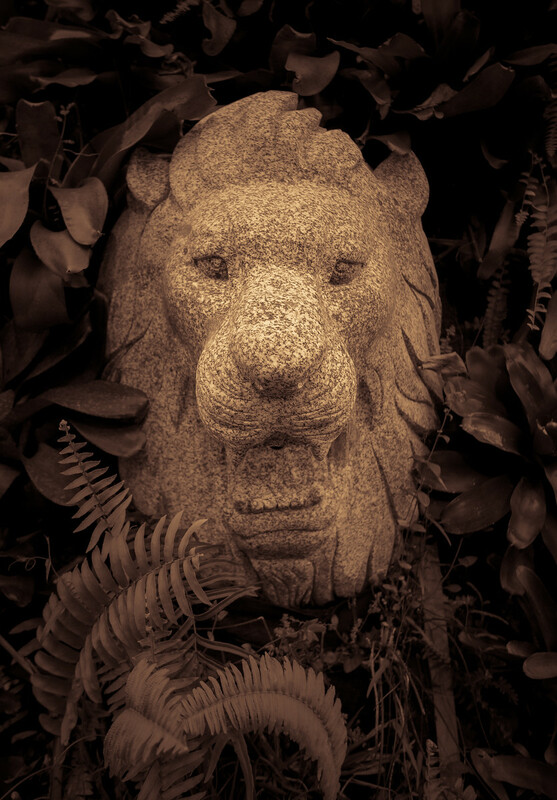 Posted in Black and White, HDR Photography, Singapore, Travel and tagged animal, Asia, Singapore, statue by Bri Duncan.